As a bright, frank and honest doctor, Dr. Pang Anneng always treated patients with his passion, carefulness and patience during his 11 years of clinical work. In daily work, he not only pays attention to accumulate experience from cases, but also buys many medical books to learn more advanced medical theories. He holds that medical knowledge is endless and for better development, it is necessary to open up the vision, know more famous doctors and advanced clinical technologies. 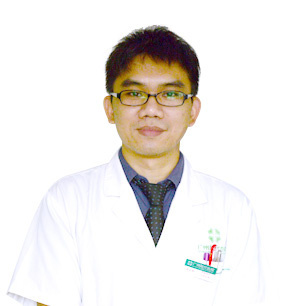 From 2001 to 2004, Dr. Pang studied in Guangxi Medical University. In past few years of work in Modern Cancer Hospital Guangzhou, Dr. Pang has mastered stomach cancer, intestinal cancer, brain cancer, breast cancer, liver cancer, lung cancer, abdominal tumors and technologies like chemotherapy, incretotherapy, molecular target therapy for kinds of malignancy. With rich clinical experience in combined treatment for cancer, he can combine the technologies in both traditional and minimally invasive treatments to plan out treatment based on individual condition. Dr. Pang Anneng always actively participates in academic exchange meetings on oncology all over the country, and shares cancer treatment experience with excellent oncology specialists to improve personal capacity.